Love love love the colour you chose! I was completely inspired by this. 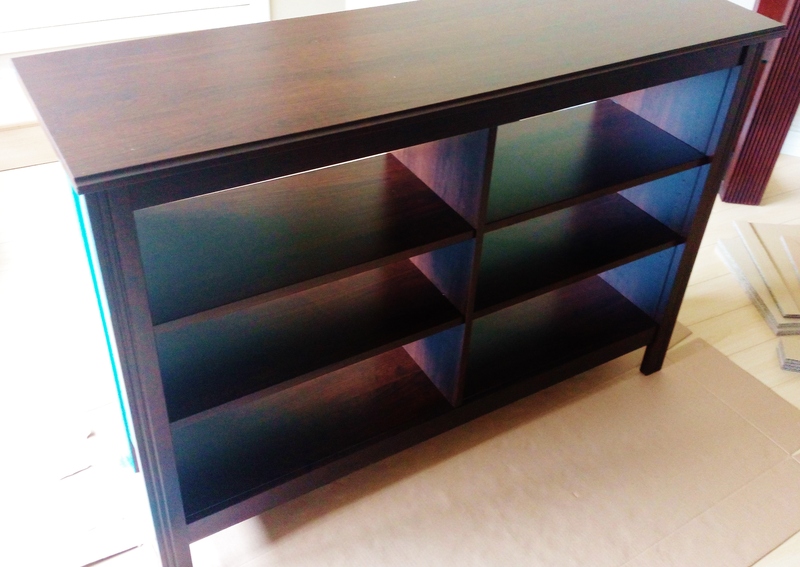 Laminate furniture can be so ugly and your post gave me energy to think about tackling some projects. 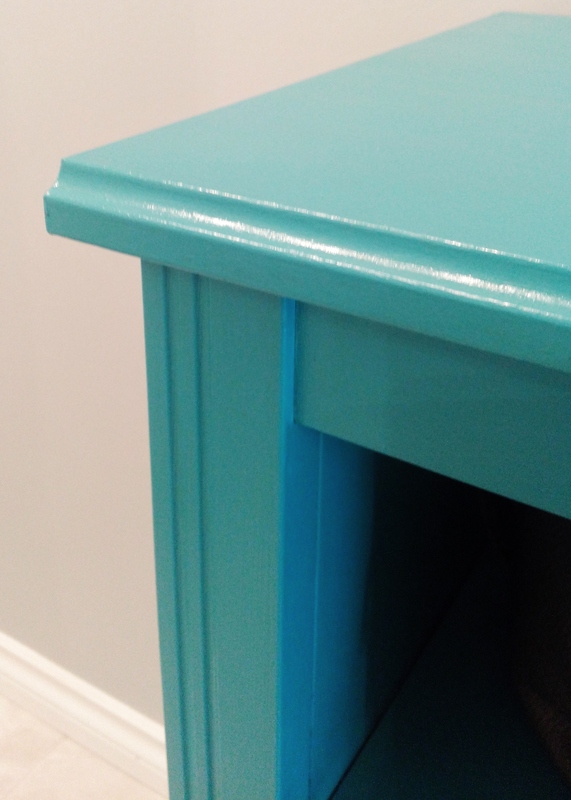 I love breathing new life into old furniture (or ugly new furniture) and I am the same way- all that sanding and prepping sounds so tedious to me too. I was so relieved to know you didn’t follow it and your piece turned out so beautifully! 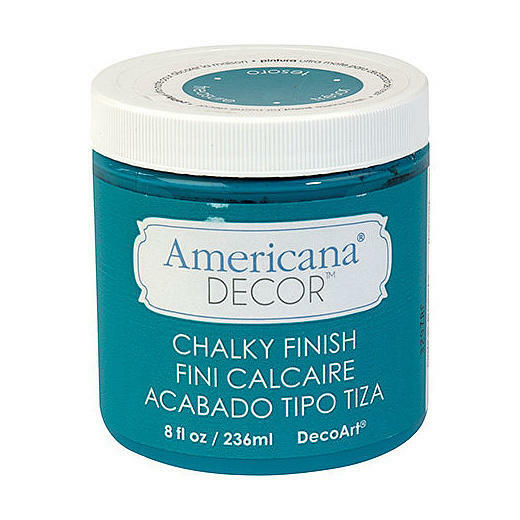 I am going to have to give this chalk paint a go! Thanks for sharing your process. 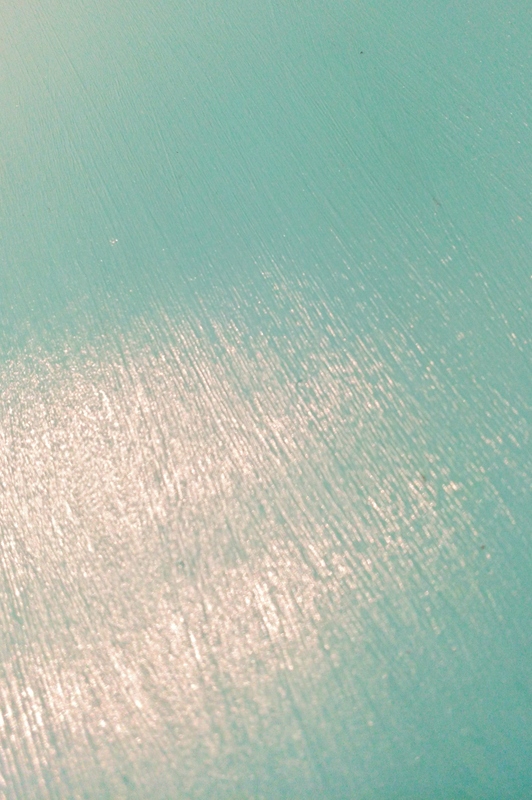 what color is the chalk paint you used? 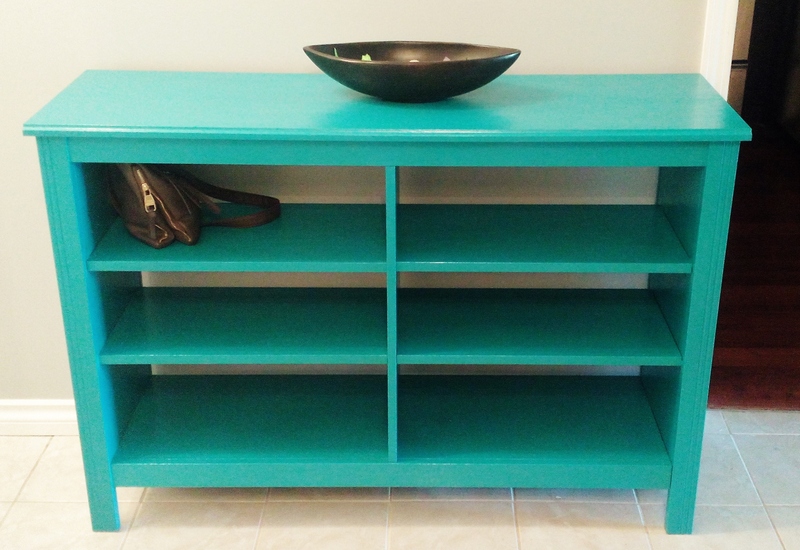 ive had this idea in my head to chalk paint this tv stand and im so glad i found this! whoops i see it now! Looks great! 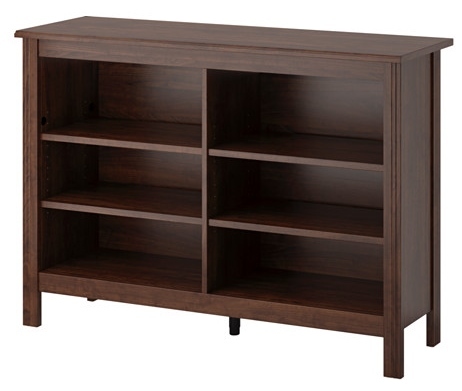 Coincidentally I just bought this same unit and Im wondering how it held up for you….any scratches at all ? This is great! 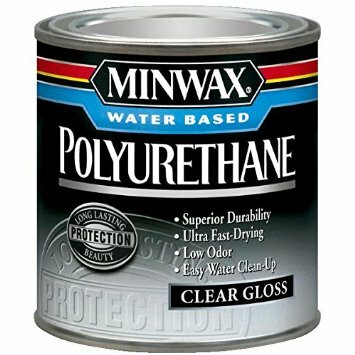 I’m getting ready to paint a piece of Ikea furniture and was hating all the prep and extra work I was seeing. I love chalk paint and didn’t know if it would work. Thank you! 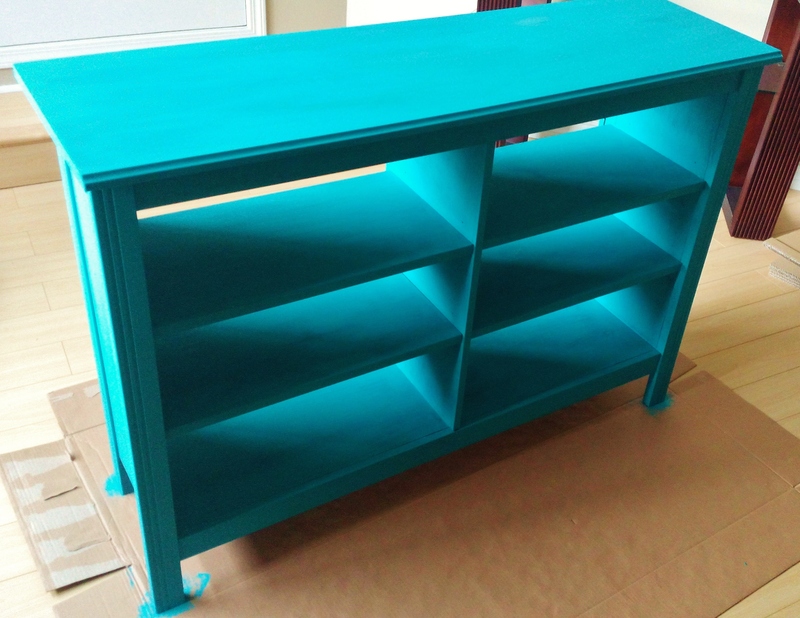 I finished my shoe cabinet with chalky paint and then did a top coat of polyurethane. It looks great and held up to construction. It seems that any small scratches would be easily touched up.